Hey guys! I hope you miss reading my posts as much as I miss doing reviews at my usual pace. I recently started a new chapter of my life and got so hooked that my blogging days were put aside temporarily. Anyway, this post is all about a skin care regimen I started sometime November of last year. 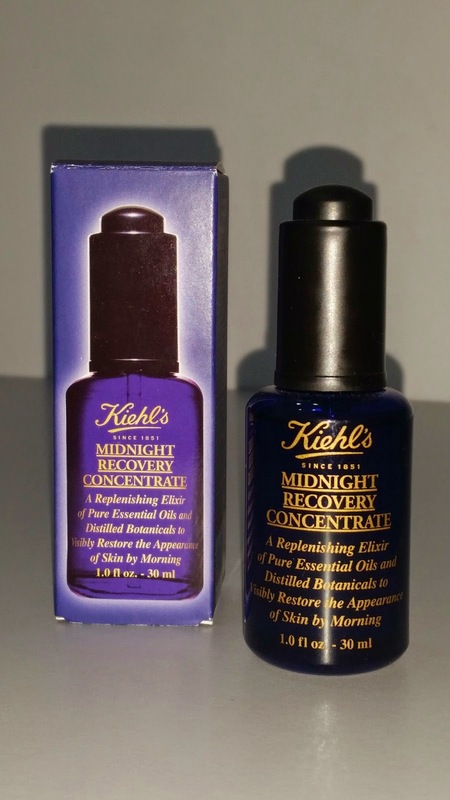 I've been reading great reviews about Kiehl's Midnight Recovery Concentrate that I decided to save up for it. 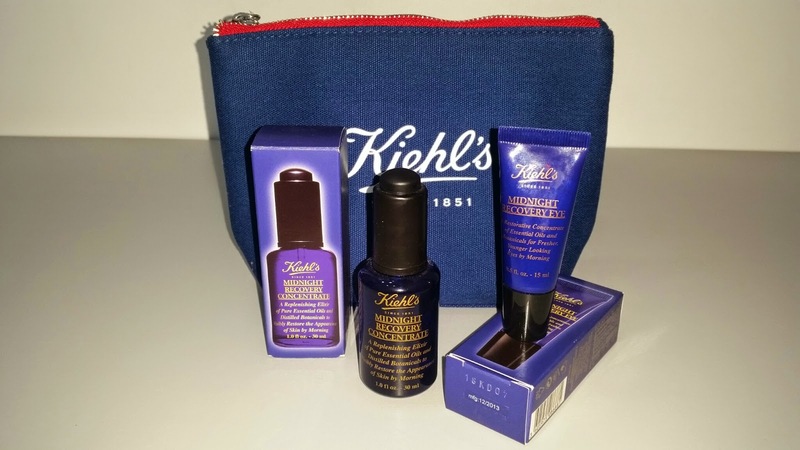 Good thing Kiehl's Holiday Collection went out a bit early so I had the chance to grab one that included both the serum and under eye concentrate. 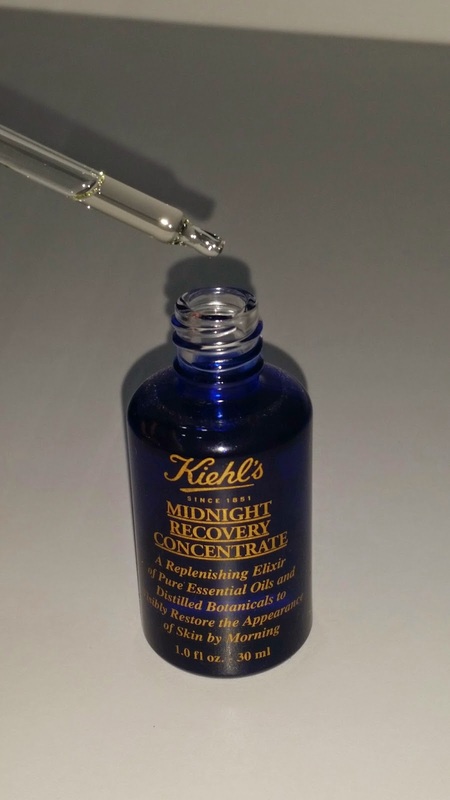 The Midnight Recovery Concentrate is housed in a 30 ml glass bottle with a screw-on cap which also doubles as a dropper for dispensing the product. The dropper looks really fancy being made of clear glass making it easier to see right through and know how much product you're dispensing. 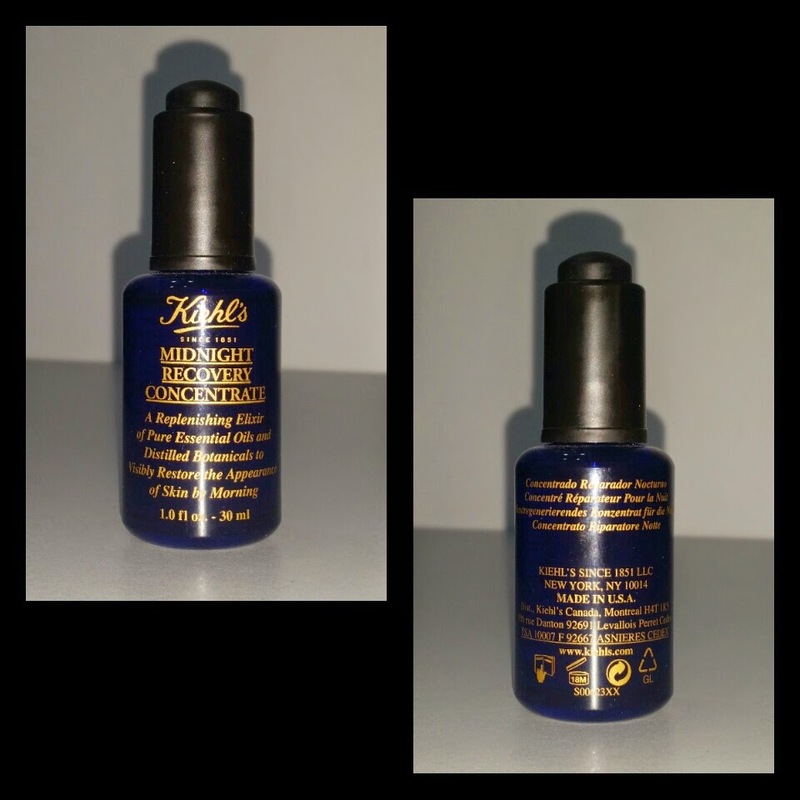 This is a clear serum that has the consistency of oil but thinner. It has a distinct herbal and subtle menthol scent that's quite soothing yet doesn't linger. The label says to use 2 to 3 drops to cover your face so I apply a drop each on my forehead, cheeks and chin. It may appear and feel a bit greasy on application but it gets easily absorbed by the skin leaving it supple to touch. I love waking up to a healthy-looking skin the next day. 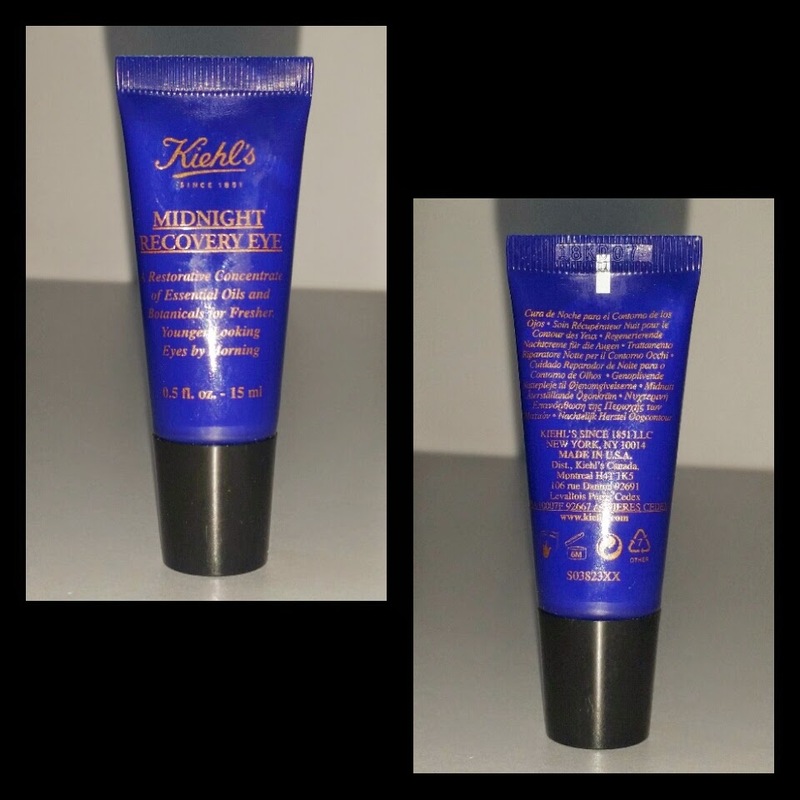 I also noticed how this night ritual kept my skin looking refreshed and hydrated. It has totally improved the overall condition of my skin in 2 weeks of continued use. 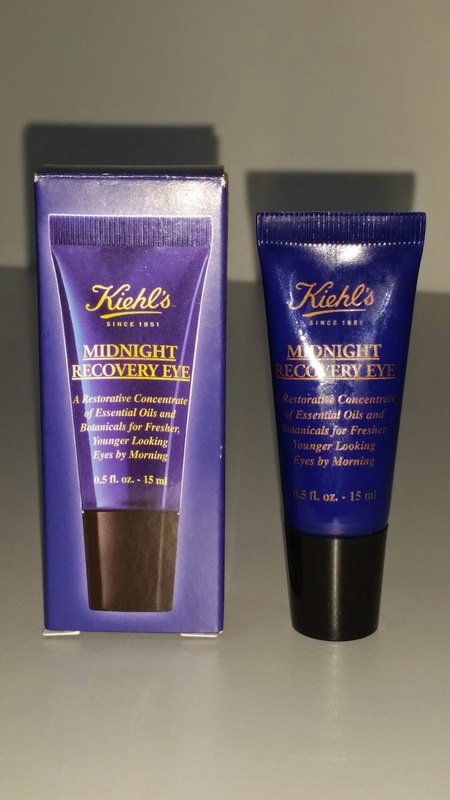 The Midnight Recovery Eye comes in this 15 ml tube. It has a tapered nozzle that works so well in dispensing just the right amount of product. 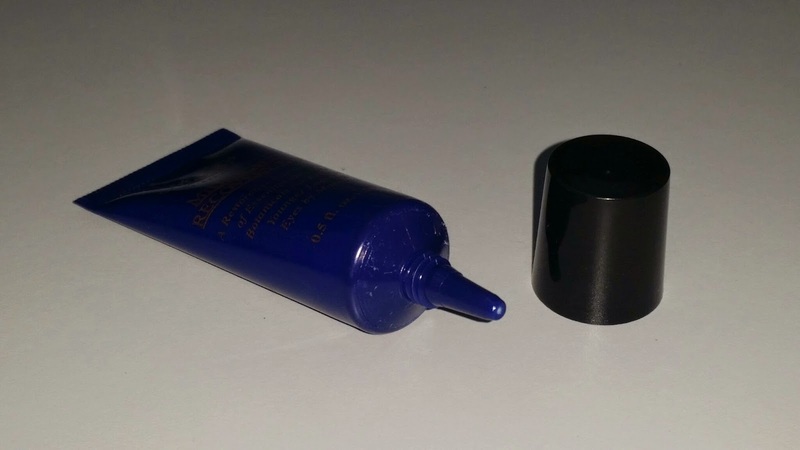 This eye concentrate is opaque white in color and shares the same scent as the serum. It applies smoothly on your skin and gets absorbed after a while. It's lightweight and gentle on your under eye area that you won't feel a sting. The Kiehl's sales rep suggested to put just a tiny bit (half a grain of rice) on each area so this tube will definitely last. I love having to wake up with less puffiness. Though I haven't seen significant results with regards to reduction of fine wrinkles, I love that it somehow made my under eyes look lighter after a month's use. Overall, I love both products that I intend to make them part of my night ritual. I recommend it to everyone who wants to improve their current skin condition especially those who want to delay signs of aging like dryness. 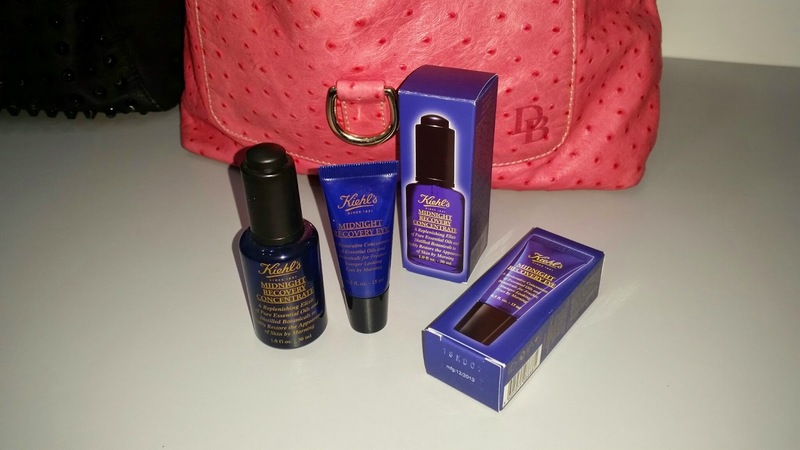 You may get these wonder products from all Kiehl's branches nationwide. Any thoughts on these products? Do share them on the comments section below. Thank you for visiting and have a great week ahead!